These obituaries appeared in the May 2, 2018 edition of the Star Valley Independent. 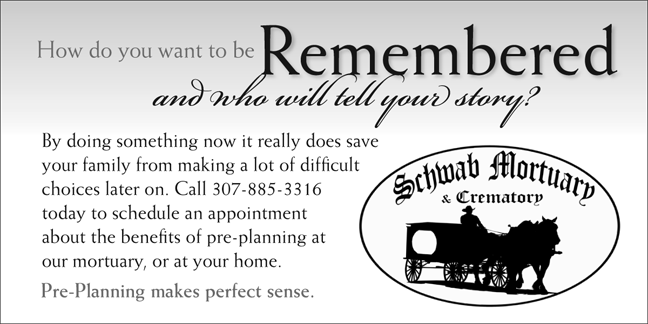 For more local obituaries, please visit Schwab Mortuary. Bonnie Jean Johns Allred Olsen, 80, returned to her Heavenly Father on April 21, 2018 from causes incident to age. She was born to loving parents, LaVere and Deon Johns, in Afton in the early spring of 1938. Bonnie was the oldest child of the four Johns girls. Bonnie attended schools in Afton and graduated from Star Valley High School. She married Lael Allred in the Idaho Falls Temple and moved to Logan to begin their lives together. While Lael was attending Utah State University and training to become a pilot, Bonnie worked as a secretary in USU’s Engineering Department. They had two sons, Joel and Jeffrey. Following Lael’s graduation, he became an airline pilot for Thunderbird Airlines and continued developing his piloting skills to fly passengers in jet aircraft. While commuting to Ogden in his airplane, he was tragically killed in a weather related accident. Bonnie felt the pressing need to provide for her sons and keep their family together. She enrolled at Utah State University and graduated with dual degrees in elementary and special education. 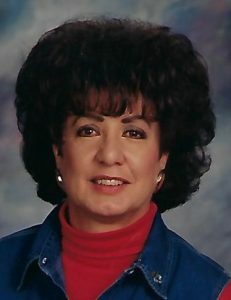 She taught children at Hillcrest and Wilson Elementary Schools in the Logan School District. Bonnie loved to work with all students. She taught special needs students in the early part of her career and taught 4th and 2nd grades in the latter half of her career. While teaching, she completed her master’s degree in education at USU. Bonnie loved her students, fellow teachers, and administrators during her 31 years of instruction. Bonnie met and fell in love with DeWayne Olsen and they married in the summer of 1974. They continued their life together as he worked at Thiokol, and she continued teaching and spoiling her boys and beloved cat Teddy. DeWayne was quite tolerant of Teddy because she left muddy paw prints all over his car and truck. He was equally tolerant of Joel and Jeffrey, with their wide and varied shenanigans and exploits. Bonnie loved her boys and attended many of their sporting events even though she spent the bulk of the time at the events visiting with surrounding parents and not really watching the sports! Following retirement, Bonnie and DeWayne relocated to North Logan where she continued her love of reading, attending the temple, and enjoying her posterity. She loved her grandchildren and great-grandchildren and spoiled them beyond measure. DeWayne was a loving, devoted husband through their 44 years of marriage. He was also a faithful caretaker, particularly when her health was declining. Bonnie loved the Lord and served diligently in the Logan 20th Ward as a pianist in the Primary, Sunbeam teacher, Cub Scout leader, young women teacher, visiting teacher, and Ward Messenger editor. She was always grateful to her 20th Ward neighbors for their support of her and her boys after Lael passed. They assisted her as Bonnie continued her education, obtained her bachelor’s and master’s degrees, and her subsequent employment in the Logan School District.Bonnie was preceded in death by her first husband, Lael, and her dear parents, LaVere and Deon Johns. She is survived by her husband, DeWayne Olsen (North Logan), her sons, Joel Allred (Stephanie) of Hyde Park, and Jeffrey Allred (Lori) of Holladay, and her sisters, Carol Sant (Sterling) of Idaho, Mary Kaye Robb of Colorado, and Janice (Kirk) Thurman of Wyoming. She is also survived by her grandchildren: Amber Allred (Dan Slavin) of Arizona, Greg Allred (Sarah) of Louisiana, Brad Allred (Ashli) of Illinois, Michael Allred of Texas, Megan Johnson (Heath) of Logan, Mark Allred of Logan, Andrew Allred (Clair) of Salt Lake City, Derek Allred of Holladay and three great-grandchildren, Macy, Donovan, and Leo of Louisiana. She is also survived by many cousins, nephews, nieces, uncles, aunts, and friends she loved and appreciated. 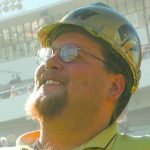 David Roland Shields passed away at the age of 58. He was born April 23, 1959 in Fullerton, California, to Charles and Mildred Shields. As a child David and his parents went to Indonesia and he attended British Boarding school. He later graduated from the Army Navy Academy in Carlsbad, California. He then attended U.C. Davis where he graduated with a bachelor’s degree in science. Upon graduation he Worked in Watsonville, California as plant manager at a vinegar plant. David married Tania Mahon Shields on November 18, 2017 in Florence, South Carolina. David loved to play golf, fish, and in his earlier years he enjoyed playing rugby. David leaves behind his daughter Mrs. Joaquin (Kristen) Gonzales and son Nicholas Shields, Amber Sehnke (Stepdaughter), Tyler Drinkard (Stepson) and three step grandchildren. Also his Brother Mark (Janetta) Shields, and his sisters Martie Ruschaupt and Mrs. Jim (Linda) Knabke and nine nieces and nephews. He is preceded by his parents Charles and Mildred Shields. A memorial will be held at a later date in California. 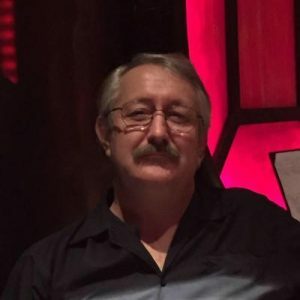 Thayne resident and former resident of Jackson and Rockville, Indiana, John Allen Crooks, 71, passed away on Wednesday, April 25 from complications with COPD. 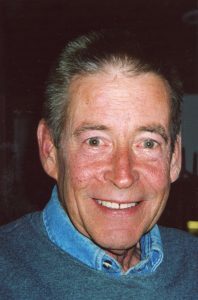 Born in 1947 in Clinton, Indiana, to Warren and Verna Crooks, Allen grew up on the farm and later farmed with his father in Rockville for over 20 years. He and his wife then moved to Jackson, Wyo. where they lived for 12 years. He currently resided in Thayne. Allen had a love for farming, animals, trains, laughing with his friends, but above all loved spending time with his family and planning summer vacations. Allen dearly loved Lucky’s Place, the Animal Humane Association in Thayne, of which he was a retired board member. He leaves behind his wife of 51 years, Janet Akers Crooks, four children Davin Crooks of Thayne, Nicole (John) Lowe of Noblesville, Indiana, Stephanie (Tom) Pitts of Terre Haute, Indiana and Brian Crooks of Thayne. Three grandchildren Mackenzie Lowe and Ava Lowe of Noblesville, Indiana, and Joe Crooks of Jackson. Other Survivors include his mother, Vera Crooks of Rockville and Fishers, Indiana, his mother-in-law, Gladys Akers of Greencastle, Indiana, his sister Kay (Rick) Wolford of Fishers, Indiana, his brother-in-law, James (Star) Akers of Columbia City, Indiana and several nieces and nephews. He was preceded in death by his father, Warren Crooks and his father-in-law Owen Akers, both of Rockville, Indiana. Anyone wishing to make memorial contributions may send them to Lucky’s Place Animal Shelter, P.O. Box 654, Thayne, Wyoming 83127. A celebration of life is being planned for Saturday, June 30 from 1-3 p.m. at the Thayne Senior Center.